Amazing Liberty blossom printed Tana Lawn cotton dress made using the Vintage Vogue Pattern V2960 (the dress has been altered from the pattern), made by Jane for Lulu. 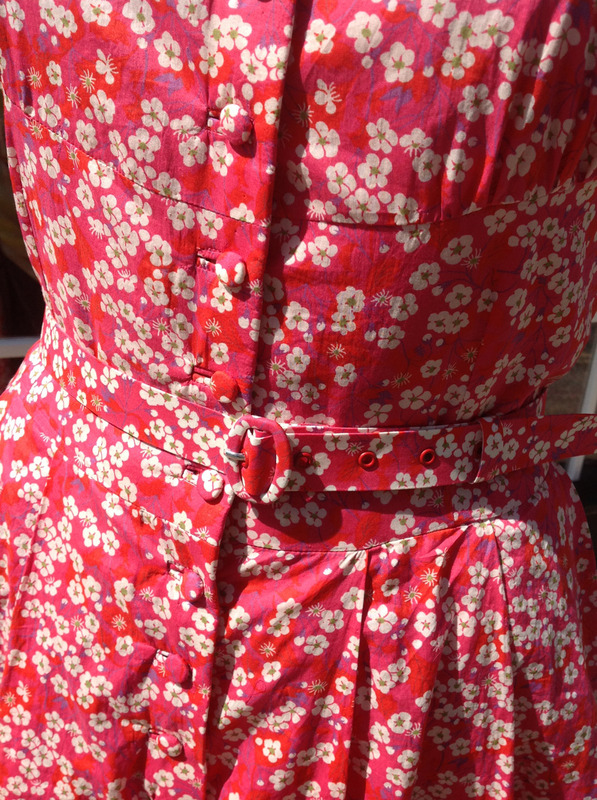 If you can’t face the fiddle of making the belt yourself (we couldn’t) send the fabric off to Harlequin—they will do it for you along with covering buttons and various other fiddly jobs. It’s worth it as it looks so professional. The dress petticoat is made up in a plain cotton lawn which has been bound with the Liberty lawn using a 19mm Bias Maker.